For the next couple weeks, I’ll be sharing some of my favorite products that are retiring along with something brand new! 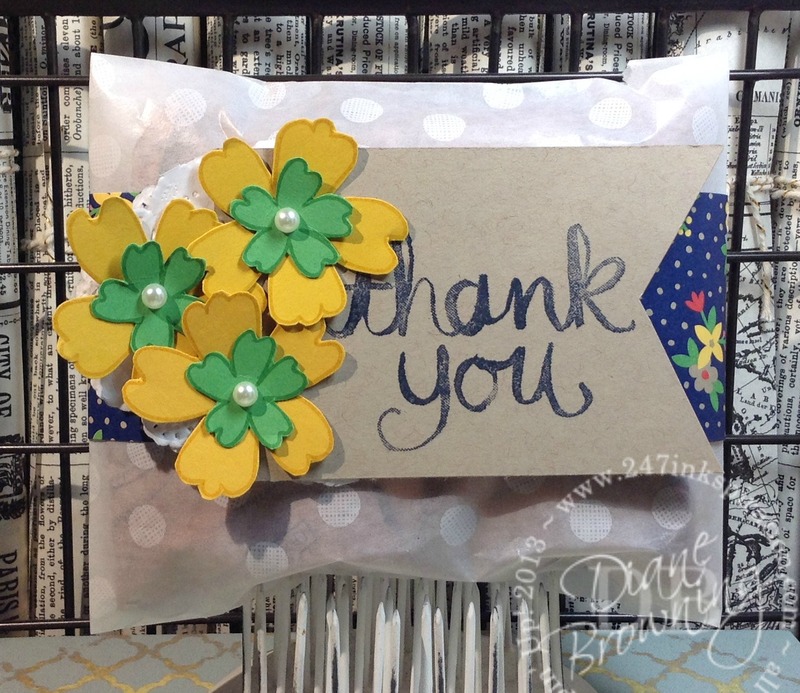 This week is the Watercolor Thank You stamp set and Sketched Dots Bags. I’m seriously going to miss both of those items. I had several packages of the Bags and now I’m just about out. I love how they are the perfect size for a couple treats or something slightly larger than your standard “fun size” chocolates. I filled this one with English Toffees for my mom. My mom does so much for us including schlepping my kids to school when I’m out of town. She does this even though she knows one of them has to be at school at 6:45 am everyday and my mom lives about 40 minutes from us. I’m sure I owe her way more than chocolates. This project is super simple. Fill the bag with goodies and fold over the top edge. 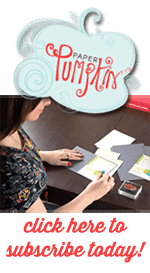 Cut a strip of pattern paper approximately 2″ x 12″. Wrap around the bag to hold it closed. The band is glued together using Fast Fuse so it won’t fall apart. On the side of the band with the seem, use Tear and Tape Adhesive to glue your tag down. To make the tag, I cut a strip approximately 2.5″ x 4″. I eyeballed cutting the pennant shape because it was to big for the Triple Banner Punch. I love doilies and have quite the stash. And wouldn’t you know it, they are retiring as well. Ugh! So now begins the process to “destash” them. You’ll probably see them on every single project from now til the current catalog ends. The doilie is folded in half and then I squished the one end together to hide it under the back side of the tag.